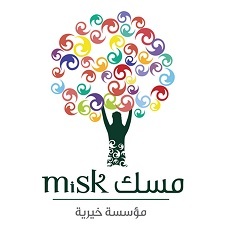 This Misk Grand Challenge is about testing and implementing concepts and strategies to engage young people (younger than 30) in efforts that will reduce inequality related to the first six Sustainable Development Goals. Investigators are invited to propose innovative and creative solutions that use new knowledge to positively engage young people in one or more of these goals in both scale and depth. The focus can be local, but to support Global Citizenship for the Global Goals they must also link in a clear way to efforts elsewhere – at a regional, national or global level. The initial phase, which would be funded under this initiative, must demonstrate a path to a more sustainable and scalable program. It must collect quantitative data to inform decision making for follow-on funding. Address the Challenge by showing how they will lead to actions taken by young people that will positively impact one or more of the first six Global Goals. Outline concepts that have the potential to be scaled up. Focus on learning and gathering data and evidence about how to do positively engage youth by doing that effectively, rather than trying to go for scale or solely developing research. Have the potential for scale and depth at reasonable costs. Focus on a specific geography or community, but should link to efforts beyond that locality. There are no geographic constraints as to where in the world proposals should be focused. Are entirely online and technology-based, or blended technology and face-to-face, or predominantly offline, with limited use of technology. Show how the proposed concept or program could in the future achieve the scale and depth of engagement with a clear set of measurements at the pilot stage. Describe the innovative approach captured by the concept. The initial pilot project must test the concept at some minimal scale that produces data upon which decisions for future funding could be made. This Challenge will provide US$100,000 for projects that last between 12 and 18 months. For further details on this funding opportunity, please see the associated webpage here.